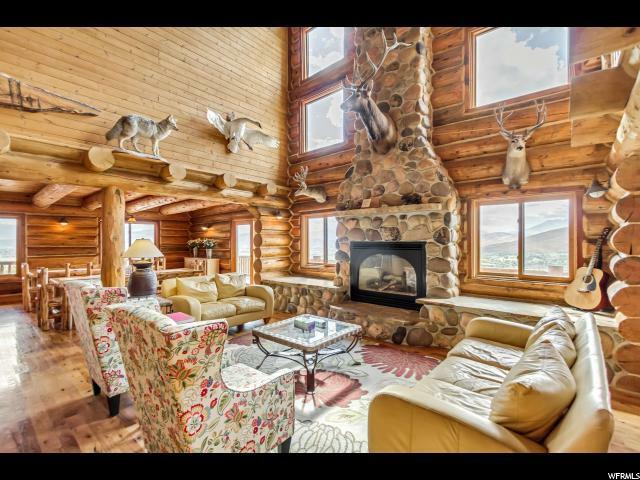 Beautiful Log Home with "I Think I'm In Heaven" Views. 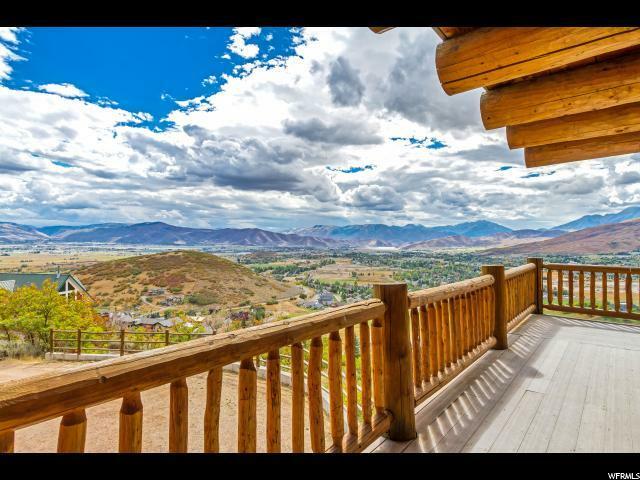 Own a beautiful mountain home in Iconic Interlaken! 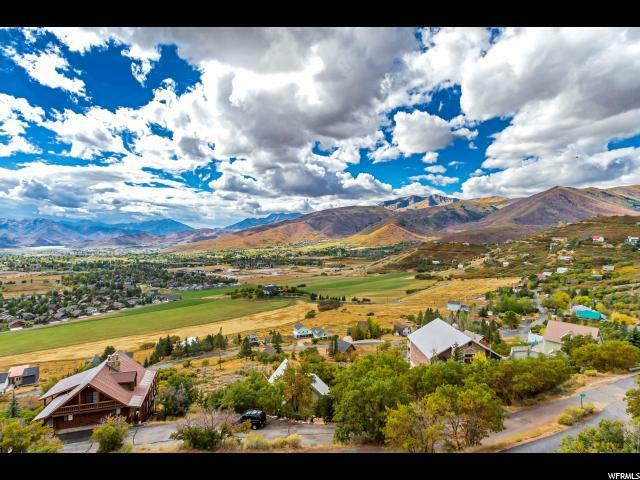 Not only widely recognized as having the most spectacular views of any development in the Heber Valley, this Interlaken lot enjoys the best of the best views! 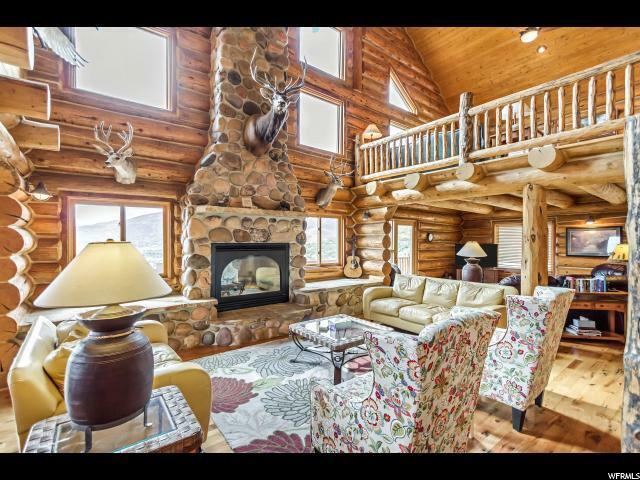 Built 1999 by Heber Valley's premier builder, Ron Hansen, w/ logs designed, cut & assembled in Montana. Has been used as multi-generational 2nd home hosting family gatherings & special celebrations. Wood floors & plenty of natural light flow throughout the home's open, airy layout. Sleeps 18 comfortably. 3 story vaulted great room, large dining areas inside & out, large sleeping loft, media/play area, huge pavilion-style covered deck, wrap around deck & "Garage Mahal" fits 6 vehicles, w/ room to spare. A grand slam of recreation adventures await you. Park City skiing, world-class venue at Soldier Hollow, Deer Creek & Jordanelle Reservoirs, Provo River, Wasatch Mtn State Park. The home, views and countless activities have to be experienced to be fully appreciated. Sold furnished. Listing provided courtesy of Windermere Real Estate Ã¢Â‚¬Â€Œ Utah (Silver Lake). Information deemed reliable but not guaranteed accurate. Buyer to verify all information. © 2019 Wasatch Front Regional Multiple Listing Service, Inc., All Rights Reserved.